Join my friend and co-director Bee Chen Goh of the Centre for Peace & Social Justice at Southern Cross University at this great event. It is part of a program which featured me earlier this year [see here] and [here]. Communities desire peace and happiness. It is important to learn about understanding each other and managing conflicts, in order to improve neighbourly relations. In this Program, Professor Bee Chen Goh, Professor of Law of the School of Law & Justice and Co-Director of the Centre for Peace and Social Justice at Southern Cross University and Adjunct Professor of Law at Bond University, leads a dialogue on cross-cultural peace building through inter-faith understanding. Special guests of this Program are Rabbi Nir Gurevitch of the Gold Coast Hebrew Congregation, Mr Bhajan Singh Bains, Gold Coast Sikh Priest, and Dr Mohamad Abdalla, Director of the Queensland Branch of the National Centre of Excellence for Islamic Studies, Griffith University. Spread the word and bring a few friends to help spread peace. This Program is funded by the Legal Practitioner Interest on Trust Accounts Fund (LPITAF) Grants Fund, administered by the Department of Justice and Attorney-General of Queensland. A new program aimed at bringing more peace to the world is off to a strong start with representatives from Queensland Police Service, New York City Police Department (NYPD) and members of the public gathering last week at Robina Community Centre on the Gold Coast to discuss how to best promote community relations and tackle conflict in the community. The seminar included a presentation by Jeff Thompson, Community Affairs Bureau detective from the NYPD on the innovative ways in which the organisation has used sport to bring the community together, and explored strategies that could be used here in Australia to promote peace. It was the first in a range of activities to be held as part of the Community Peace Program – a new research project funded by the Legal Practitioners’ Interest in Trust Account Fund Grant Funding, administered by the Department of Justice and Attorney-General of Queensland and spearheaded by Professor Bee Chen Goh, from the School of Law and Justice and co-director, Centre of Peace and Social Justice at Southern Cross University which will include a series of community events and cross-cultural training designed to promote positive community relations, embrace cultural diversity and enhance social inclusiveness. Acting senior sergeant Holly James, regional crime prevention coordinator and cultural liaison officer, Queensland Police Service said she was pleased to be involved with the program.“Although New York is a long way from the Gold Coast, we are all fundamentally the same and face the same challenges, so this seminar was a good opportunity to exchange ideas,” said sergeant James. “The community members are our eyes and ears, so we also always welcome the chance to engage with them and hear their feedback.” Professor Goh said she was pleased with the success of the first seminar.“Before we tackle big issues like terrorism we must look at how we resolve conflicts in our own daily life,” said Professor Goh. The Community Peace Program will continue with an interfaith forum in December, including presentations by Rabbi Nir Gurevitch of the Gold Coast Hebrew Congregation, Gold Coast Sikh priest, Mr Bhajan Singh Bains, and Dr Mohamad Abdalla, director of the Queensland branch of the National Centre of Excellence for Islamic Studies, Griffith University.It will be held on Sunday December 13, from 2pm-3.30pm (Queensland time) in the Library Meeting Room at Robina Community Centre on the Gold Coast. For those readers in Australia, come join me (see below). Come join us to hear Jeff Thompson- NYPD Detective, Mediator & Conflict Resolver- talk about how he is using communication to promote understanding & peace in New York. 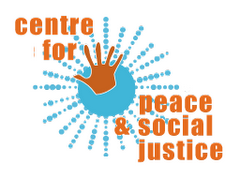 You are currently browsing the archives for the Centre For Peace and Social Justice category.